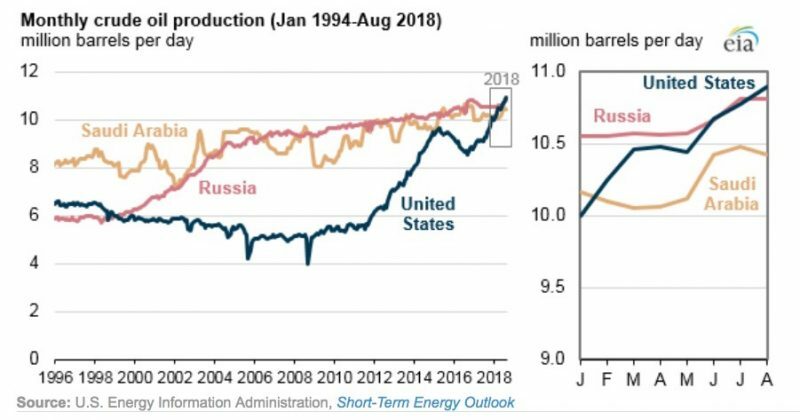 With the exception of a brief downturn in 2016 as result of OPEC’s ultimately failed attempt to drive out the U.S. shale industry by maximizing its production and driving down prices, the United States has seen a dramatic upward trajectory in production over the past 10 years. Now the big question moving forward is how high can U.S. production go? 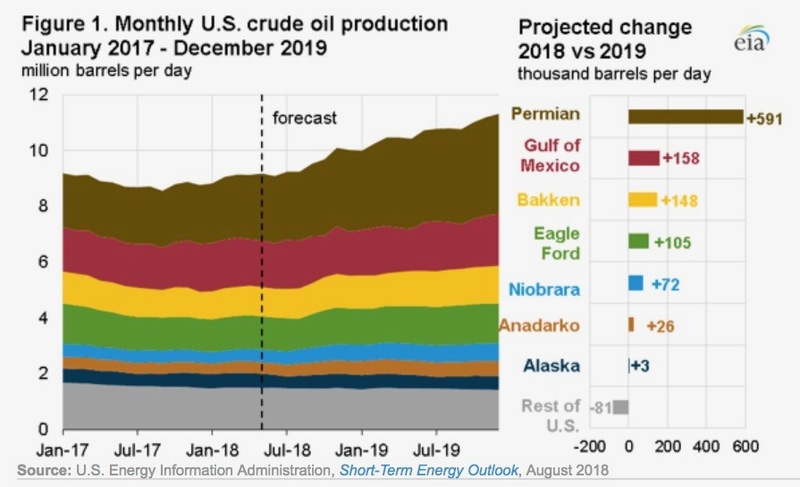 The latest EIA forecast projects domestic production will average a record 10.7 million barrels per day (b/d) in 2018 and jump to 11.5 million b/d in 2019. As the following EIA chart shows, the Permian Basin is expected to continue to drive production growth through 2019. 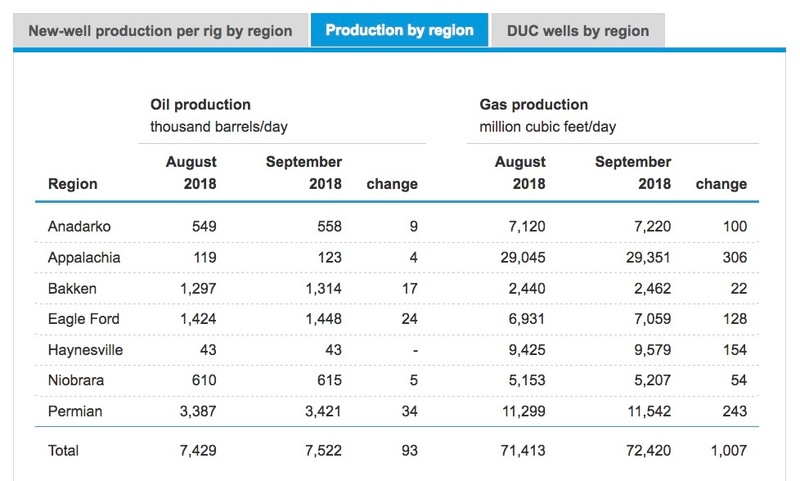 However, the latest EIA data show production is on the rise in each of the United States’ six major tight oil plays. Not only has fracking allowed the U.S. to reclaim its crown as the world’s top crude oil producer for the first time since the early 1970s, it has also allowed us to became a major exporter and decrease our net imports of crude and petroleum products 70 percent since 2005. Already the world’s top natural gas producer and a net exporter of natural gas, some analysts have even projected that the United States will become a net energy exporter by 2022. America’s newfound energy abundance is a major reason the country has enjoyed nine consecutive years of economic growth. And thanks to increased natural gas use, we are also leading the world in carbon dioxide reductions since 2005. All of this has been made possible thanks to fracking — and the best may be yet to come.